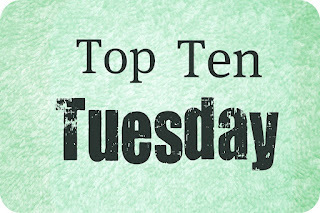 Today is quite a fun theme for Top Ten Tuesday. It took me a little while to come up with the following list. I really had to sit down and think about it for awhile. What I had to do was think of other books I really loved and ask myself if I loved those books so much in part because of the setting. Because of this, I've tried to include some other YA books that share settings. Thanks as always to The Broke and the Bookish for hosting such a lovely feature every week! Oh I do love a good story based in a boarding school. Perhaps 50% of the time I'm daydreaming about being a student at Hogwarts, but I also love quite creepy or mysterious boarding schools. 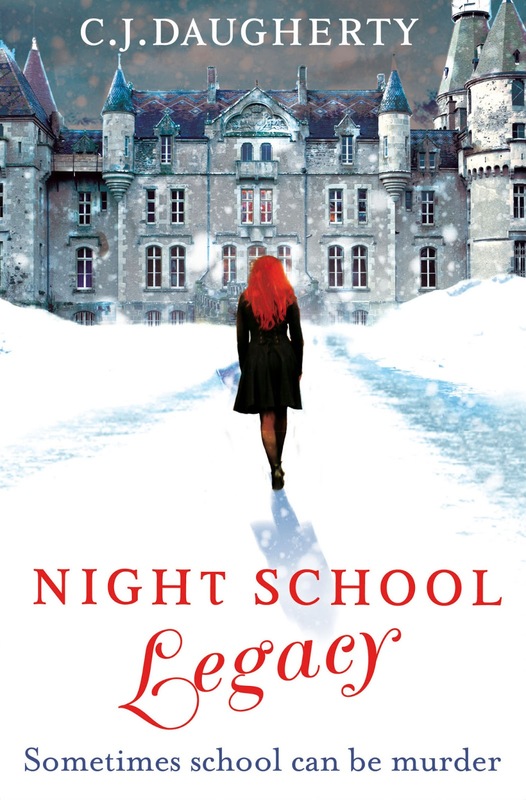 Perhaps because I've just finished Night School Legacy by CJ Daugherty, which is an excellent example of a boarding school with secrets and danger. By 'in cars' I really just mean road trip novels. Road trip novels are some of my favourites. I love the intimacy that comes with spending all of this time in a car and really getting to know the people you're road tripping with. Plus anything can go wrong during a road trip, from car problems to meeting the locals. Plus there's usually music and if you're in America, there's all these strange little places to stop. I love going on road trips myself and I especially love reading about them, like with Amy and Roger's Epic Detour by Morgan Matson. Oh I do love Paris. I've never been so I'm still living with this impossibly huge expectations of the place being unbelievably magical and romantic. This has been heightened lately by reading Just One Day by Gayle Forman in which two people spend a day and fall in love in Paris. Why aren't there more YA contemporary love stories set in Paris? There really needs to be. I really love NYC and some of my favourite books and films and TV programmes have been set there. It's a city that always has something going on and there's always something to see or do and with all those people, I bet you could meet some incredible people. Maybe I'm just fantasising about spending an amazing night walking around NYC like in Nick and Norah's Infinite Playlist by David Levithan and Rachel Cohn or Where She Went by Gayle Forman. These books set a high standard! I don't really have a specific place in mind for this one. I'd just like to see more books that are set in the UK as opposed to shelf after shelf in my libraries and bookstores about American teenagers. I was once an American teenager, so I have nothing against that. But what about teenagers these days here in the UK? Where are the books for them? I'd especially like to see books set in Scotland, Wales or Northern Ireland. That'd make a nice change. I just really love Japan. I think my love affair with Japanese culture began as an early teenager when I read my dad's old copy of Shogun by James Clavell. 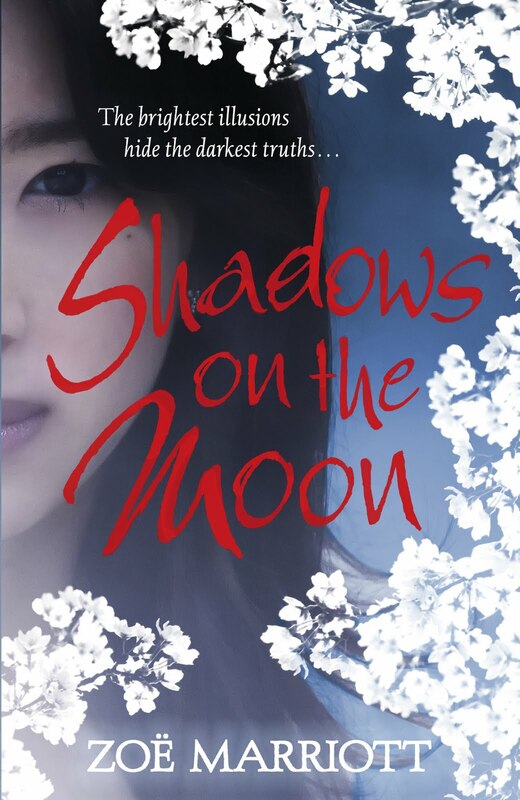 Sadly, I didn't read up as much about it after finishing that book, but I have enjoyed reading YA books set in fictional fantasy Japan, like with Across the Nightingale Floor by Lian Hearn and also Shadows on the Moon by Zoe Marriott. Okay, I probably would have never thougt of 'the circus' if I hadn't read and loved Pantomime by Laura Lam recently. But I think the circus is a really intriguing setting and I've bought other books (The Night Circus by Erin Morgenstern and Water For Elephants by Sara Gruen) about circuses based mostly on the fact that they are based within a circus. And of course, also because they come highly recommended. But there's just something about the circus, isn't there? Anything can happen there. I haven't actually read any books involving summer camp, but I'd like to. It was a huge part of my teenage years, going off to summer camp. For me, it was usually sports related. I'd go to soccer and basketball camps, but there were still plenty of instances in which I stayed in a log cabin and there were campfires and an arts and crafts tent. I have very strong and emotional memories about those camps and I would love to read more about them. Do you know something? I love ballet. 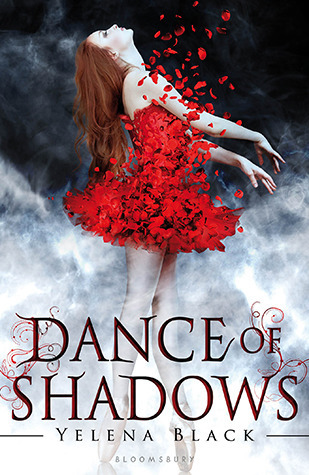 And I've read two books recently, Bunheads by Sophie Flack and Dance of Shadows by Yelena Black which involved ballet and it made my heart happy! I grew up reading and rereading this battered old copy of a book about a ballet dancer. I totally wanted to be that main character. There's a grace and beauty that comes with ballet and I love reading about it in any form. I want more. I recently read and loved two books set in beach houses - Twenty Boy Summer by Sarah Ockler and Invincible Summer by Hannah Moskowitz and I just had to include it on this list. I love stories set during the summer and I especially love the beach. I realise that there's plenty of books already out there set at the beach but I'm not complaining! I love these stories. Do you agree with any of these? Do you have any recommendations based on some of my favourite settings? What types of setting would you like to see more of in the books you read? I'd love more circus settings! Totally agree with you about more UK settings and there are so many great locations to choose from! Japan and Paris made it onto My TTT too. Paris and Japan sound good to me! I would love more books set in the Circus and you know how I feel about books set in Paris!! I groan every time I hear that a book has been set at a boarding school because to me, that has been done to death. I like the idea of Summer Camp though. Summer camp would be cool, wouldn't it? :) I'm not sick of boarding schools yet. I can't imagine that ever happening! Yes, there are plenty of books set in London, but what about the rest of the UK, eh? :) I'm with you! I'd love to read books set in summer camps! They always seem to be so much fun, plus I'd be able to live through the books as I never got to go to one! And I'd love to read more books set in the UK, particularly Wales and Scotland. Great list! Thanks, Hollie :) I haven't really noticed many overnight stay summer camps about? I guess they're not that common? I read a lot of the old-time children's books set in boarding school as a kid, and still have a soft spot for them, but I'd love to read more for older readers or a modern take on the setting. Oh definitely I think they need to have their own unique twist! Some great settings up there Michelle! And I agree completely, the lists took me ages this week to come up the ones I liked!